Julian McKenney stands in a hallway of Fort Fairfield Middle/High School on Sept. 21. The high school senior is hoping to study social services at Husson University in Bangor next fall. It was Julian McKenney’s junior year at Fort Fairfield Middle/High School, and he was struggling academically for the first time. In addition to his regular classes, he was taking a full year of college-level chemistry and a semester each of college-level anthropology and psychology as part of a special agreement between his school and the University of Maine at Fort Kent. He was also balancing being a cheerleader with working three shifts a week at Bath and Body Works in the Presque Isle Mall. The stress compounded, and he continued to fall behind on his coursework, he said. That’s when his teachers, with whom he had close relationships, stepped in and made sure he got caught up. 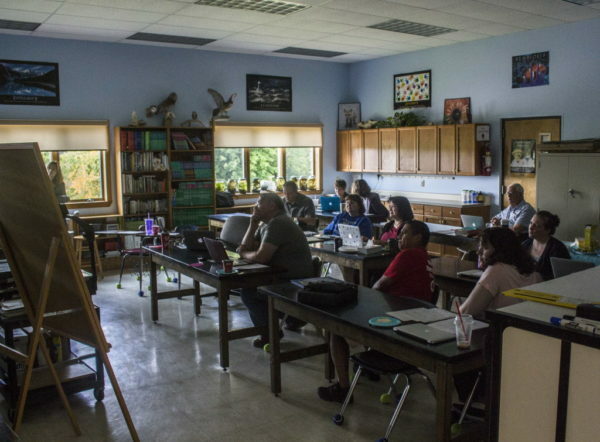 All throughout Aroostook County, it appears adults — whether teachers, family members or business owners — are making a point to catch and encourage young people in their schooling, so they might continue on to some type of college. Given the challenging backgrounds of many students, who tend to come from lower-income homes and families without college degrees, Aroostook is shattering expectations at sending its young people on to higher education. Between 2009 and 2016, 67 percent of students in Aroostook attended a two- or four-year college in the fall after graduating from high school. It was the second highest rate in the state, behind far-wealthier Cumberland County, which saw 68 percent of students go on to college in that time. The third highest-performing county, York, sent 62 percent of its students to college. Why is Aroostook outperforming so much of the state? The BDN spoke with nearly two dozen Aroostook County students, teachers and administrators, in addition to state and national education experts, to gain insight into how The County produces so many students who pursue their college aspirations. Many had their own hypotheses, and nobody claimed to know the definitive answer. There hasn’t been any comprehensive study of the factors that affect college-going rates specifically in Aroostook, though research elsewhere has shown teacher and principal quality, and family and community background, to be top contributors to student success. What they identified was both basic and difficult to replicate: It has something to do with culture and connections. By and large, The County’s schools and towns have created an environment that functions as a support system, both inside and outside the classroom. “In my experience it’s not about the curriculum. It’s about having people who are encouraging and supporting and committed to your success,” said Kristen Wells, former executive director of Aroostook Aspirations Initiative, which offers mentoring and scholarships to Aroostook students. Aroostook’s focus on helping students go to college goes back decades, said David Silvernail, professor emeritus at the Center for Education Policy, Applied Research, and Evaluation, at the University of Southern Maine, who has studied schools that defy the odds. “It wasn’t that, OK, the schools that were defying the odds and performing better than expected all were using this program or had this type of professional development. It was the culture of the school. It was the belief on the part of the teacher that they had a moral obligation to help kids learn. You just can’t quantify that,” he said. In general, students in lower-income communities, with parents who don’t have degrees, tend to do worse academically, and are less likely to continue their studies after high school, than those from wealthier areas. Aroostook’s underlying economic picture is grim: The County’s poverty rate of 19 percent is greater than the state and nation’s. Nearly half of public school students — 47 percent — are eligible for free or reduced-price lunch, which means they live in households that earn up to 185 percent of the poverty line. Just 17 percent of adults older than 25 have a bachelor’s degree, the lowest share in the state, according to the U.S. Census Bureau. In comparison, Cumberland has one of the lowest shares of students eligible for free and reduced-price lunch: just 28 percent. And it has the highest share of adults with at least a bachelor’s degree: 43 percent. Yet Aroostook and Cumberland are sending their young people to college at nearly the same high rate. To better understand Aroostook’s outsize performance, the BDN focused on three high schools — Fort Fairfield Middle/High School, Easton Junior Senior High School and Presque Isle High School — that all have high numbers of students eligible for free and reduced-price lunch but send students to college at greater-than-average rates. Each school may use different methods, but they described trying to ensure individual students get help before they fall too far behind, helping students develop effective communication skills and confidence, and using the deep connection their communities have with local public schools to assist students financially. In this way, the schools are an extension of their place, raising larger questions for Maine about who, exactly, is responsible for student success. In The County, it’s everyone. 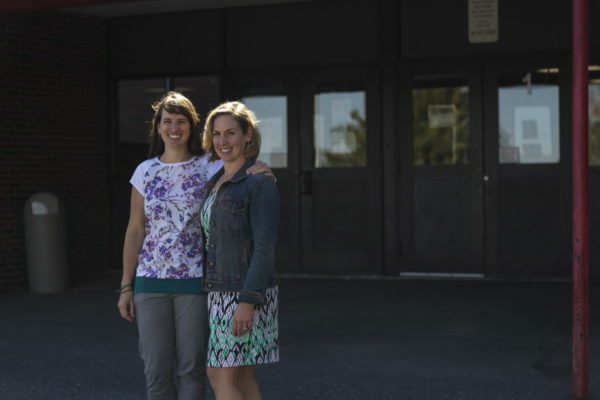 The ideal rural school helps bridge the gap between home life and academics, said Catharine Biddle, an assistant professor of educational leadership at the University of Maine in Orono. Making that connection means not only hiring teachers and administrators who understand rural life, but providing health services, school lunches and vocational guidance that would otherwise be inaccessible to students. When Julian was falling behind, math teacher Shawna McDonough devoted time to tutoring him after school on a near-daily basis. Earlier in high school, when he struggled with self-confidence and self-acceptance, he said the guidance staff introduced him to Seeds Training, a youth leadership seminar meant to help students gain non-academic skills such as effective communication and collaboration. Now a senior, the 18-year-old is considering a career in social work, and Husson University in Bangor is one of his top choices for college. Teachers at Easton Junior Senior High School attend a meeting during their day off on Sept. 15 to discuss how to serve their students with a proficiency-based curriculum. Just a 20-minute drive down the road from Fort Fairfield is Easton, home to about 1,200 people. Regionally, Easton Junior Senior High School has long been known for its academic achievement. Despite the fact that 42 percent of students were eligible for free or reduced-price lunch between 2009 and 2016, 79 percent of students enrolled in college. It’s one of the top college-going rates in the state, falling just behind the Maine School of Science and Mathematics in Limestone, a residential magnet high school; Cape Elizabeth High School; Falmouth High School; private John Bapst Memorial High School in Bangor; and York High School. Those five schools had an average free and reduced-price lunch rate of 6.3 percent. The secret to success in Easton, school staff members said, is Easton, though many of them struggled to define what that meant, exactly. Part of that support comes from local employers such as Huber Engineered Woods and frozen potato product manufacturer McCain Foods. As the largest employers in the area, their tax bills gave the school district the flexibility to spend more than $20,000 per pupil in 2015, nearly $10,000 above the state average. The school with 114 students features a single hallway and employs only 14 full-time staff members, including cafeteria workers, bus drivers and custodians. Each year, the graduating class hovers somewhere around 20 students. During basketball season, it’s common to find “The Barn,” the nickname for the school’s gymnasium, packed with hundreds of fans excited for the chance to remain connected to their alma mater. Small, rural schools often face challenges stemming from their location: They can be isolated from many of the enrichment opportunities available in urban or suburban regions. Their size, however, can also be one of their biggest assets, Biddle, with UMaine, said. When everyone knows one another, it can be easier to understand what students really need. Paul Sutherland, a math teacher at Easton Junior Senior High School, reflects on some of his past students Sept. 15. Sutherland has taught math in Easton for 12 years. In Easton, multiple staff members have deep local ties. Lynda Foren-Turner, the director of guidance, graduated from the school in 1979. Principal Cameron Wes graduated in 1991. He sees his old high school science teacher Bryan Wright, who is still teaching science, in the hallway daily. Just because staff attended the school doesn’t automatically mean they know how to support students. But Easton has developed ways to catch students and make college feel attainable, staff said. Students can get individual attention from teachers for 30 minutes before each school day in subjects they’re struggling in, and most teachers use their free time between classes to tutor students looking for help, Sutherland said. For juniors, an entire class period is set aside each day to serve as a year-long preparation course for the SAT, the college admissions exam. 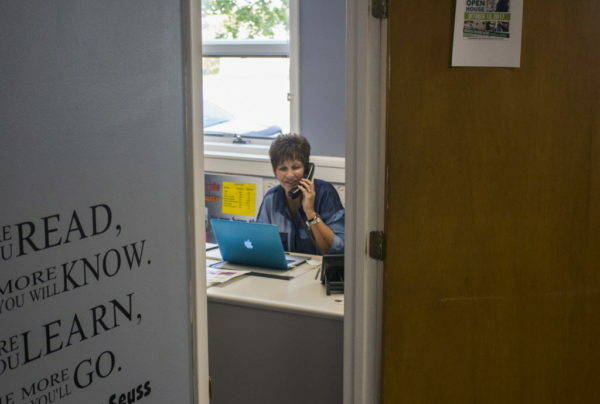 Lynda Foren-Turner, Easton Junior Senior High School's director of guidance, talks on the phone in her office Sept. 15. Foren-Turner is in her 15th year at Easton and graduated from the high school in 1979. What’s more, students know the community will support their college aspirations. Each year, the Hayden Family Trust, a local scholarship fund established with a $1 million gift by an anonymous donor, awards every college-going graduate about $1,500. On average, each student in last year’s graduating class earned $23,251 in scholarship awards from either their universities or other outside scholarships. Many of the high schools in Aroostook have close ties with the local colleges, making it easier for students to get a jumpstart on their higher education. Ninety-one percent of college-going students from Aroostook attended college in Maine in 2014, and many of the students have traditionally gone to the University of Maine at Fort Kent and the University of Maine at Presque Isle. In 2016, 14 percent of Aroostook students, including Julian, participated in University of Maine System classes that offered them the chance to earn college credit while in high school, either by attending class on campus or having class with a teacher from their high school who was approved as an adjunct professor. While similar opportunities are available in every county, Aroostook high schools’ proximity to the University of Maine at Presque Isle and University of Maine at Fort Kent makes the program more accessible for Aroostook students, said Rosa Redonnett, the University of Maine System’s chief student affairs officer. Despite making up just 6 percent of the state’s high school graduates, Aroostook students accounted for 22 percent of all early college participation in the state in 2016, Redonnett said. “Just about every piece of research you see shows that the more you can introduce high school students to college-level coursework, it does increase their likelihood of going to college and their aspiration for going,” she said. 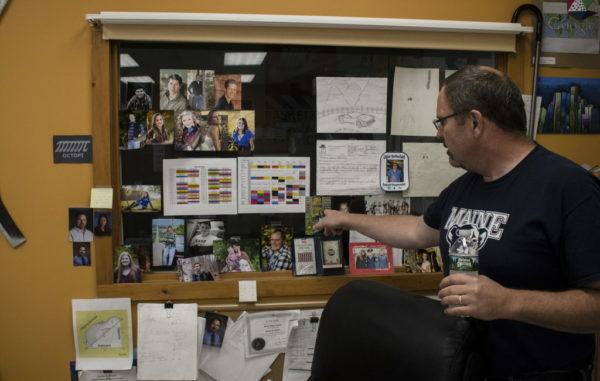 Presque Isle High School — where 68.6 percent of graduates go on to college despite 40 percent being eligible for free or reduced-price lunch — gives students the chance to take 13 different college-level classes at the University of Maine at Presque Isle. Of the school’s 540 students this year, 93 are taking at least one college-level class, Principal Ben Greenlaw said. 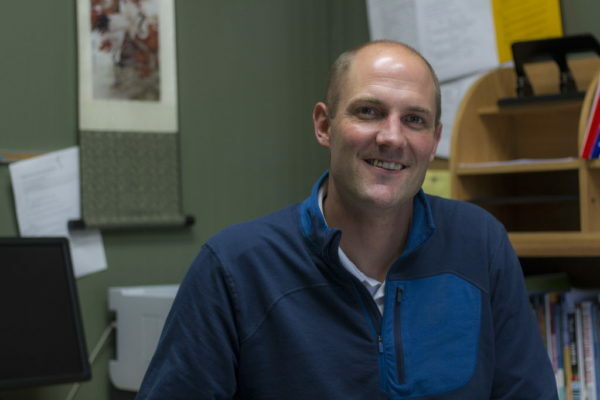 Ben Greenlaw, the principal of Presque Isle High School, is pictured Sept. 21. Contrary to popular belief, Aroostook has a great need for workers, he said. Its labor force has declined 10 percent since 2000, and businesses are looking for employees. So Greenlaw invites local businesses to talk to students about the types of jobs available, and he organizes class trips for students to get an inside look at a local business of their choice. 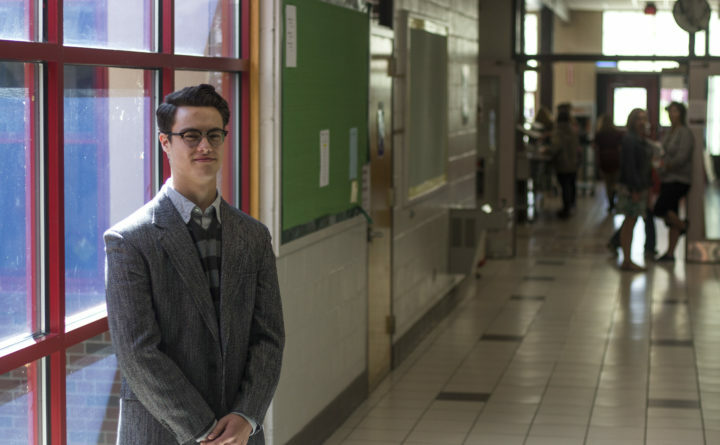 Creating the links while still in high school helps students to better identify their interests, he said, whether they are looking to become a banker at Katahdin Trust or a border patrol agent. Within the school’s walls, support staff — including a substance abuse counselor and full-time social worker — try to help students with non-academic challenges. The social worker often pools together money from staff to buy food baskets for students who would otherwise not have access to meals over weekends or long breaks. She once even purchased a prom gown for a girl who was unable to afford it. Like Easton, students and staff said that Fort Fairfield benefits from the community-oriented, small-town atmosphere. And similar to Presque Isle, many of the school’s students take advantage of early college programs such as dual enrollment. Jacquie Martin (left), the director guidance at Fort Fairfield High School, stands with Kim Dorsey, the school's grant coordinator, outside the main entrance on Sept. 21. But a third component, a recent influx of grant money, has exposed students to opportunities that otherwise would be inaccessible under Fort Fairfield’s typical budget constraints. A federal Gear Up grant awarded four years ago, which provides the school with $350,000 over six years, pays for many programs Julian and his peers take advantage of, such as one-on-one after-school tutoring, dual enrollment and programs such as Seeds Training and counseling with The Northern Lighthouse, an Aroostook County mental health organization. It remains to be seen how much of a long-term impact the grant money will have on the school’s college-going rates, as well as the fate of the programs once the grant ends. Between 2009 and 2016, about 67 percent of Fort Fairfield students enrolled in college the fall after graduation, while 52 percent, including Julian, were eligible for free and reduced-price lunch. As Julian begins the college application process, he said his time in high school has helped set his expectations for college. He wants to find a college that, in some ways, resembles the community in which he’s grown up.